The Oasis Luxury Guesthouse (owned by Grayham and Anita Beazley) offers travellers the opportunity to relax and unwind in safety and style. 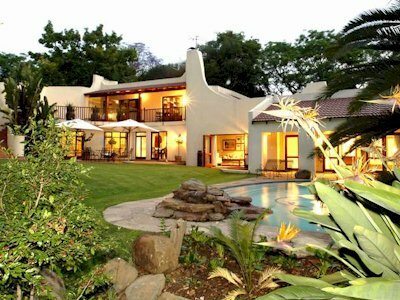 Located near Sandton Johannesburg, with easy access off the major highways, The Oasis Luxury Guesthouse brings service, convenience and comfort to guests. The Oasis is a resting place that provides all the functionality of modern travelling, including wireless broadband, tourist information and booking services, as well as unequalled hospitality. The Oasis Luxury Guesthouse offers visitors 11 luxurious rooms in which to relax and unwind. Custom designed, plush topped mattresses, king-size pillows (and/or goose down option), 300 thread count 100 % Percale cotton, triple-sheeting and elegant bed throws are used to create the optimal sleep experience. The air conditioned rooms also feature MNET/DSTV, a hospitality tray, bar fridge with refreshments, hairdryer, safe for valuables, dressing gowns, complimentary slippers. Each room is tastefully decorated with original oil paintings and Persian carpets.